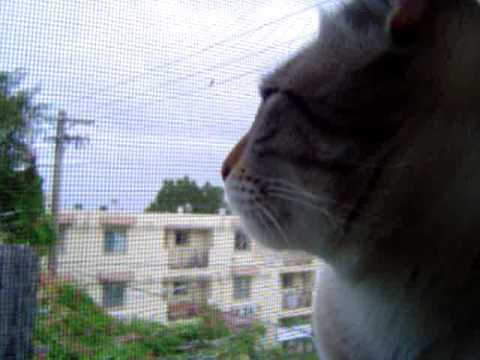 There are 4 cat videos tagged with chicken. A chick gets very comfortable right underneath Oscar's chin. 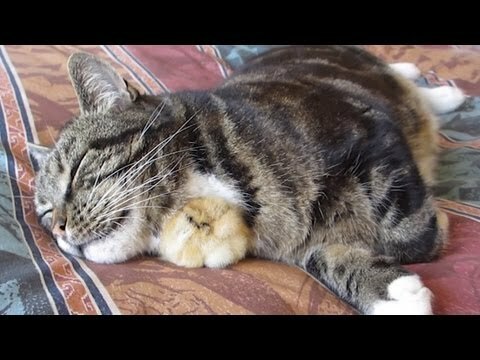 The tabby cat doesn't seem to mind sharing his warmth with his baby friend. Suppose you're a little chicken. Do you think you would go around sleeping on cats? 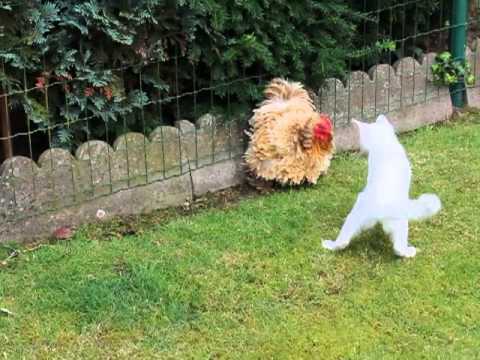 That's exactly what this baby chicken Albert does to his cat friend, Oscar. The gentle tabby just sits and lets the bird relax on him. One of the cutest pairings we've seen in a while!